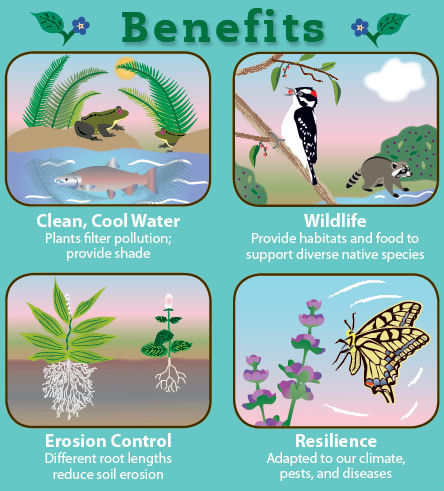 Native plants are the foundation of healthy ecosystems. For example, their more developed root systems are adaptations that help them to survive our dry summers and wet winters, while simultaneously reducing erosion and filtering pollutants. Native wildlife, in turn, are adapted to use our native plants for food and shelter. Healthy native plant communities include trees, shrubs, and grasses which are different sizes and have varying root depths. This complex system of roots holds together stream banks and reduces erosion. Trees growing over water provide shade to keep the water cool, which helps fish and other wildlife. When trees die and fall into streams, they provide benefits including nutrients and habitats for water-dwelling insects and fish. Native plants also absorb storm water to filter pollutants and help prevent flooding. Remove invasive plants on your property and replace them with native species. 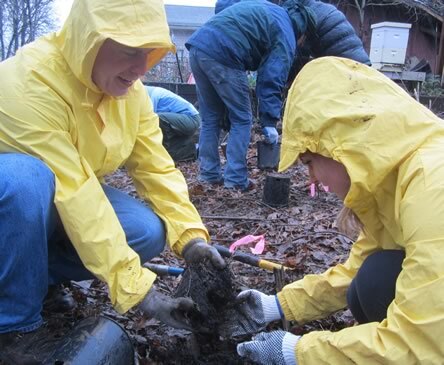 Plant natives or remove invasive plants at a SOLVE volunteer project. Learn more about native and invasive species in your area and spread the word! 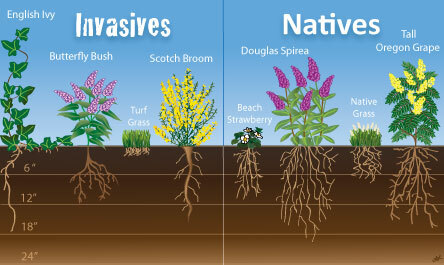 Below are some of Oregon's native plants that SOLVE volunteers commonly plant. 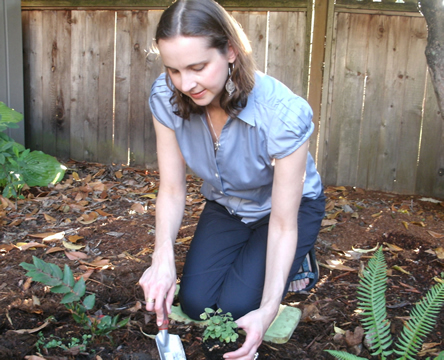 Check out the Garden Smart Oregon Guide to non-invasive plants for more information. The Oregon Garden: Call 503-636-4112 Ext. 22 for a brochure and registration materials. Local Watershed Council or Soil and Water Conservation District - Contact SOLVE for help reaching your local resource. 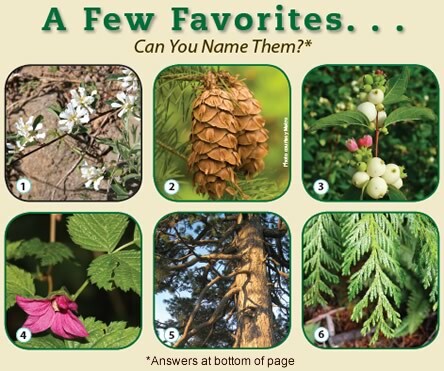 Could you name the 6 beautiful--and highly beneficial--native plants shown above? 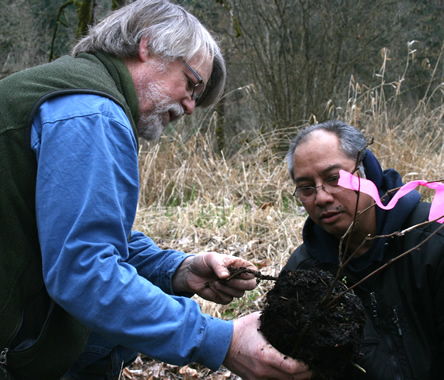 Volunteer with us and get to know them well as you help us restore Oregon's natural systems.